Writing a couple of expansion books (High Seas Fleet and Jutland 1919), and designing scenarios to go with the new pieces in those books, forced me to spend a lot of time with for Great War at Sea: Jutland. It’s the best-selling title in our catalog, and for good reason. Jutland is a great game. It’s not, however, the game I would design today, given the chance. 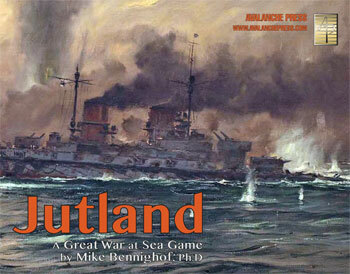 I don’t really want to re-make Jutland; it’s an excellent game. I’d just like to make it better. The only things I’d really add to a second edition in terms of the design itself are more history and more battle scenarios. 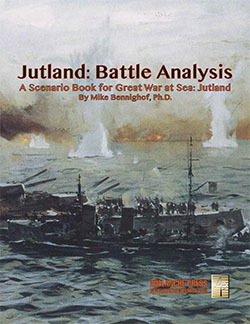 And so we have Jutland: Battle Analysis, a companion book for our Jutland game. The book weaves together historical analysis, game analysis in the context of that history, and 40 additional battle scenarios for Jutland, the game, based on Jutland, the battle, plus the many other operations that took place in the North Sea and could easily have led to battles ranging from cruiser-destroyer clashes to full-on fleet engagements. Jutland, the game, has only seven battle scenarios, an aspect of Great War at Sea for which I’ve gained much more appreciation since we published Jutland in 2006. 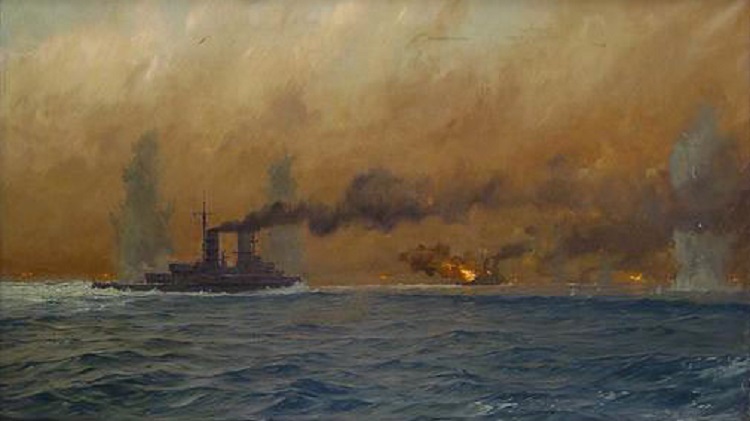 Jutland needs many more of them, to reflect the tactical action that might have arisen from the operations shown in the 44 operational scenarios. To cite just one example, during the Scarborough Raid in December 1914, the British Second Battle Squadron of eight dreadnoughts sighted the German battle cruiser squadron fleeing from their bombardment of the English coast. The British failed to engage and no battle took place – but it could have, and given their commanders’ duty, should have. And we should have had a battle scenario for that near-engagement, but like Rear Admiral Sir Robert Arbuthnot aboard HMS Orion, we failed to follow through. Since 2006, I’ve seen how battle scenarios are vital to flesh out the historical narrative of a Great War at Sea campaign, and to put the operations which led to them into their proper context. To show, rather than tell, just how risky was a particular operation, why this fleet alignment was considered overkill or just how unusual was the outcome. And then there’s the play aspect. While it doesn’t take a great deal of time to play a Great War at Sea scenario, whether of the operational or the battle variety, there’s no guarantee that an operational scenario will lead to any battles at all, or that those which do arise will be interesting or fun to play. Battle scenarios let you get right to the action, to put those battleships on those blue hexagons and open fire. No need to stare at the fleet markers on the operational map, hoping that their paths will cross so you’ll get to fight somebody. You can skip all of that and get right to the fighting. Beyond my lack of any other useful skills, I design and publish historical wargames because of the history, as an excuse to study and write history without the burdens of the academic establishment (that is, I don’t have to kiss the department chairman’s ring, or flirt with his secretary to induce a few “mistakes” in the teaching schedule – I was really bad at the first of those, pretty good at the second). And so I like to include as much history as we can in the games, both within their structure and as background text. It’s still not as much as I’d like to see. I was very pleased with the piece on British armored cruisers at Jutland that I wrote for Daily Content, and we need more of that sort of thing for the game. So Jutland: Battle Analysis tells the story of the North Sea operations most likely to have resulted in surface battle (or that actually did), with each chapter starting off with the background followed by battle scenarios based on that operation. 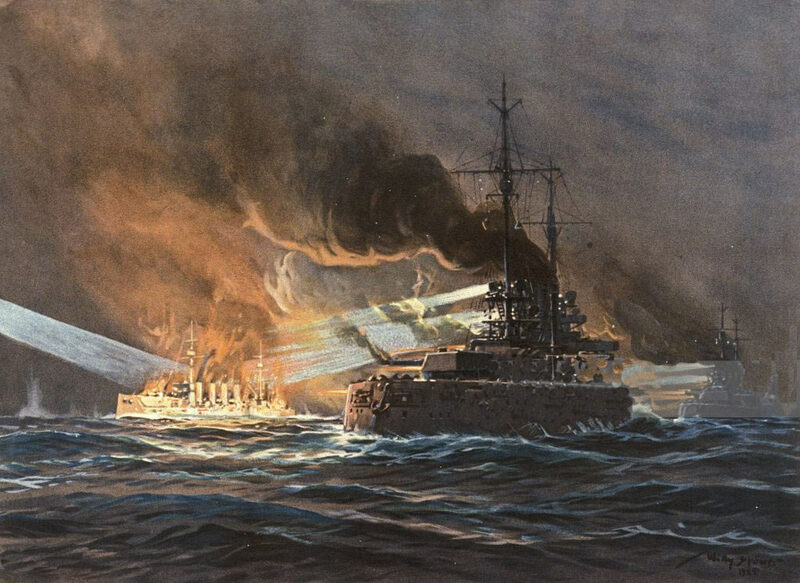 In some cases, we re-examine existing scenarios, like the Dogger Bank battle scenario which somehow lost the light cruisers and destroyers of each side during development. Which I suppose makes for a more exciting play experience, but it’s not the sort of history I prefer to see in our games. We also get to play with some variations, like giving the Germans the battle cruiser Von der Tann at Dogger Bank in place of the armored cruiser Blücher, or keeping the battle cruiser Goeben at home instead of sending her to the Mediterranean. Mostly, though, the battle scenarios are based on what was likely to happen, but for whatever reason did not. The Grand Fleet gets to meet the High Seas Fleet off the coast of Norway in April 1918, and the Channel Fleet has to fend off the desperate German attack on the Thames Estuary in October 1918. The Germans get their wish for an uneven match in November 1914 following the Gorleston Raid, when the bulk of the Grand Fleet is still stationed in Northern Ireland out of fear of submarines. The fleets did not go to sea often, but the North Sea was very small. It’s actually surprising that only one major fleet battle took place during the war, and one smaller battle cruiser engagement. The opportunities were certainly there for other battles, and at times only narrowly missed. So we take a look at what might have happened had they not missed one another. That also gives more balanced play opportunities, with more or less equal fleets meeting on the Tactical Map. Good game development can make a competitive game out of almost any situation, but it’s certainly more satisfying when you can look at the game board and know who won without having to consult the scenario book to be sure. When you’re tweaking history anyway, you should tweak it to make the best game situation (at least a few times; otherwise, you play the hand history dealt you). I’m really pleased with the Battle Analysis; it’s the sort of thing I should have been writing for a very long time. If it proves popular, I’d like to do similar things for some of our other games. You can never have too much history, or too many scenarios.